Rollinsford is a small New England town located in southeastern New Hampshire. This beautiful community is a great place to live and raise a family. The town is situated on the western bank of the Salmon Falls River which divides New Hampshire from Maine. It is approximately 14 miles from the Atlantic Ocean, and our neighboring cities are Dover and Somersworth, New Hampshire and South Berwick, Maine. While Rollinsford is bounded on the east by the Salmon Falls River, most of the town is drained by Rollins and Twombly brooks, which flow south to the Cochecho River in neighboring Dover. The highest point in town is an unnamed 300-foot (91 meter) summit near the border with Somersworth. Garrison Hill (290 feet / 88 meters above sea level) occupies the town’s border with Dover to the west. 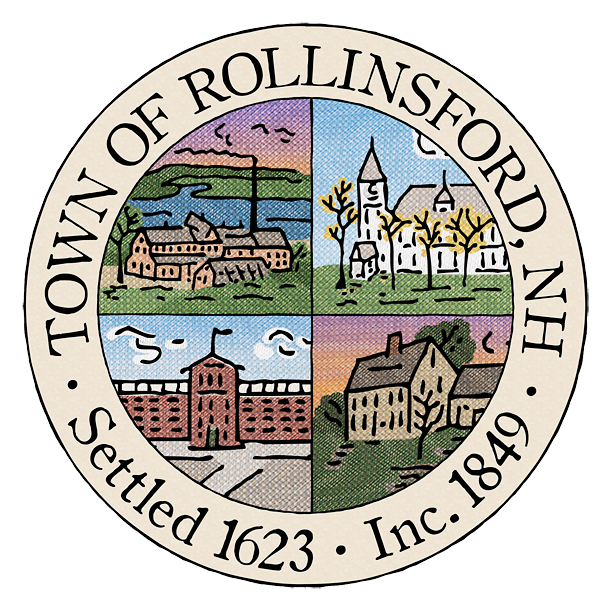 You can learn about Rollinsford Town History and current preservation projects on Rollinsford’s History Page. View a beautiful aerial video taken of the Mills at Salmon Falls after a storm left everything blanketed in snow. Video courtesy of Dave Seavey.